Introduced in 2007 the E92 M3 arrived initially as a coupé, followed closely by its open-topped convertible relative. Purists love the coupé. A specialist BMW that demands specialist knowledge the fourth generation M3 that was introduced in 2007 is often referred to as the E90/E92/E93 model depending on whether you’re referring to its saloon, coupé or convertible body styles. 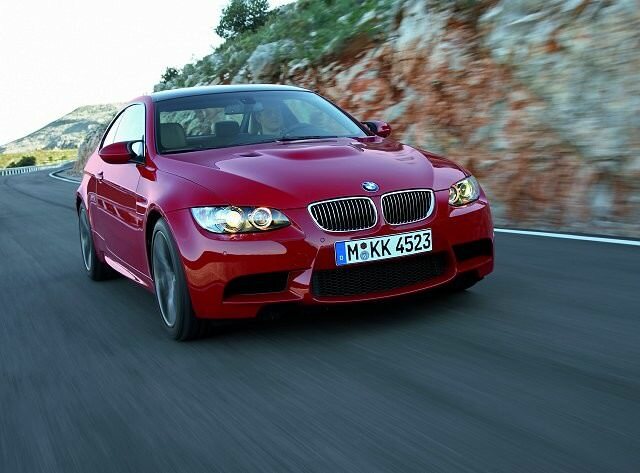 It took the M3 to a new level, replacing the old 3.2-litre straight-six engine with a 4.0-litre V8. Epic performance mixed with usability remains core to its huge appeal. Audi S models don’t compare, though Mercedes-Benz’s C 63 AMG comes close. Introduced in 2007 the E92 M3 arrived initially as a coupé, followed closely by its open-topped convertible relative. The purists love the coupé, BMW’s M division’s attention to detail seeing it feature a carbon fibre roof to lower the car’s centre of gravity, though for those seeking the ultimate stealth M3 the saloon is a considered choice. It’s also the most practical, with those rear doors aiding access to the back seats. At the top of the BMW 3 Series range the M only comes in one specification level - and a relatively fully loaded specification at that - the only real option is the choice between the seven-speed M-DCT automatic transmission or the six-speed manual. A few specials have been produced, too, the M3 GTS gaining 450hp from a 4.4-litre version of the V8 engine in the standard car. It’s as rare as it is expensive, so one for serious collectors with extremely deep pockets only. Not that running the standard M3 won’t be expensive, as the 420hp V8 engine is not the most parsimonious with its 12.4 litres/100km combined fuel consumption - on a good day. Consumables like tyres, brake pads and servicing won’t be inexpensive either, but nor are they ridiculous given the M3’s massive performance potential. Tempting as the saloon is for its stealth and greater usefulness there are more coupés to choose from among the classifieds. The manual is excellent, though the M-DCT makes it an easier drive around town - so it’s down to personal preference really. Fuel consumption in all is punishing, though the performance is staggering, the M3 able to reach 100km/h in just 4.9 seconds. Equipment levels are high, with even completely standard cars featuring leather upholstery, climate control and electric seats. An automotive icon and rightfully so the BMW M3 is a quite staggeringly competent performance car. It has the power to keep up with supercars, yet is a usable daily driver. Audi S and RS models and Mercedes-Benz AMG offer alternatives, but the M3 remains the benchmark car in a class it has made its own.